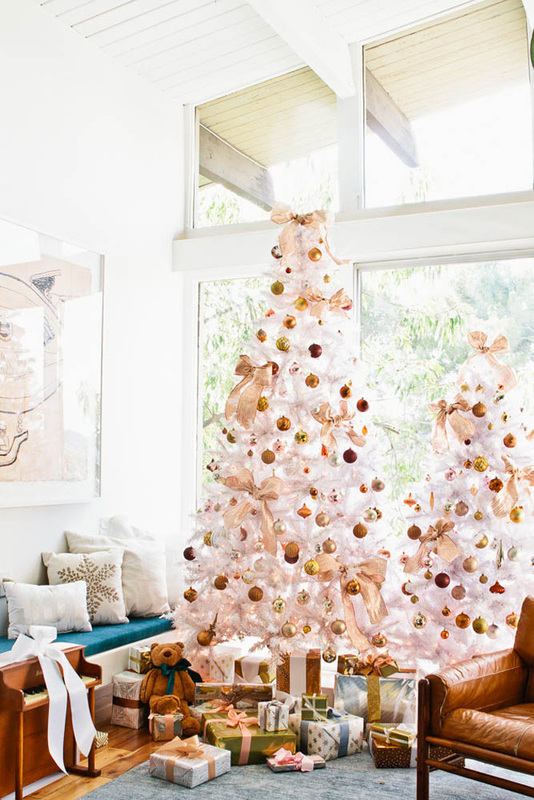 I have noticed a holiday design trend in recent years that leans towards white Christmas trees. I'm not talking about snow-flocked trees. I'm talking artificial white trees. I certainly love how they are styled in these spaces. However, I'm not sure I'm going to be the next green-to-white Christmas tree convert anytime soon. We buy a fresh tree every year after all! That's not to say that I don't like to mix things up. I guess I'm just a little bit more of a "traditionalist" at heart when it comes to holiday decorating. What do you think?! 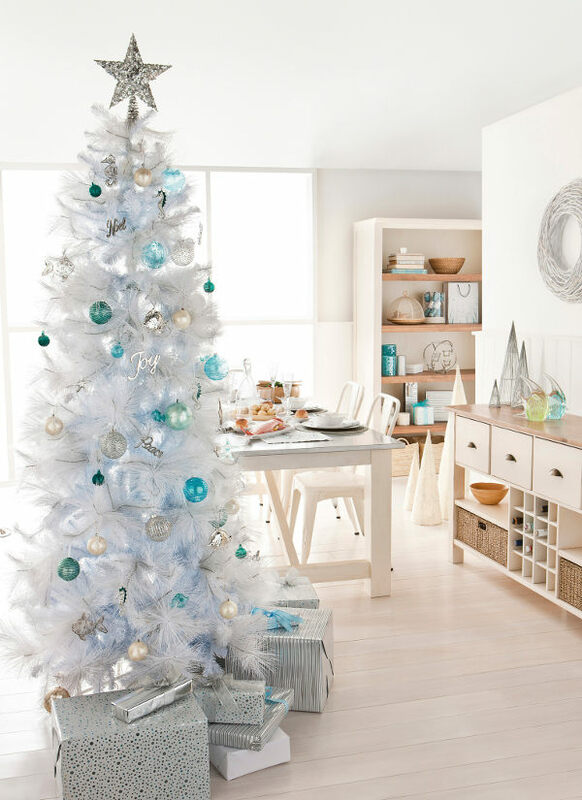 Do white trees appeal to you? They are all pretty and well coordinated in their respective rooms but, the white & gold ones are stunning. 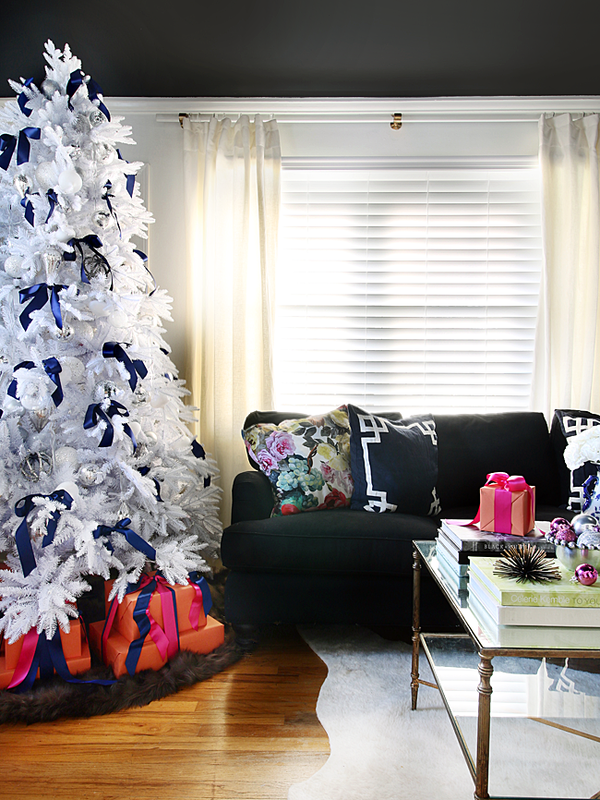 We too get fresh trees so I don't see us switching to white trees (maybe a smaller one in a designated room).